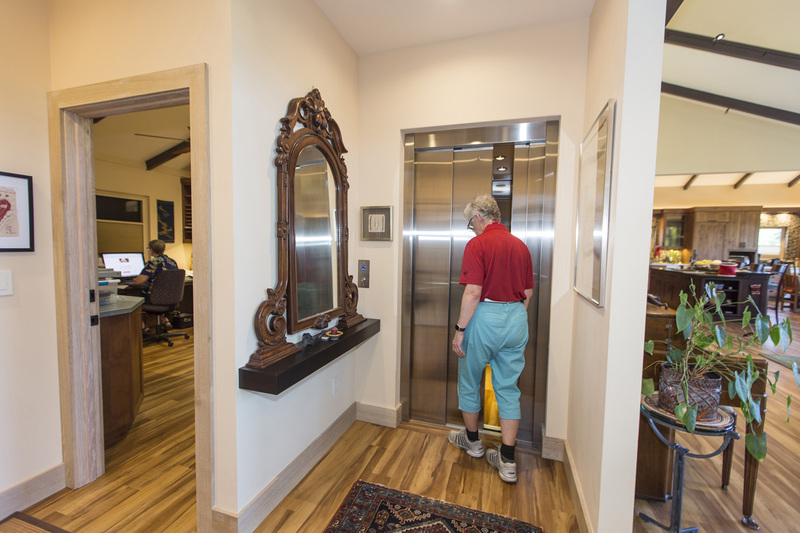 Iris Harrell steps inside her elevator inside the remodeled home she designed herself in Oakmont Village. Within her fully ADA compliant home, she added an elevator, a walk-in closet, a guest wing, and raised the roof and ceilings for a full view of the mountain range. Iris Harrell, a retired contractor from Silicon Valley, is the lead chairperson on the Oakmont Village construction committee overseeing the redesign of the entire East Rec Center. Santa Rosa, California.